Portsmouth say they are likely to fold after talks with former owner and key creditor Sacha Gaydamak broke down. 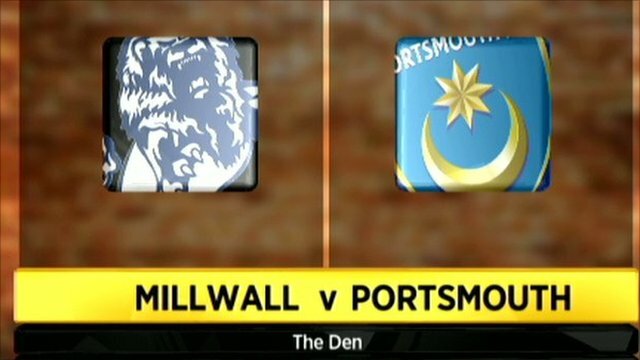 The club claim that Gaydamak demanded an upfront cash payment to allow Pompey to exit administration and thereby endangered their ability to trade. "It appears likely that the club will now be closed down and liquidated by the administrators," said Pompey. But administrator Andrew Andronikou insisted weekend talks could lead to a "satisfactory conclusion". Meanwhile, a Football League spokesman insisted Pompey's Championship game at Hull on Saturday would go ahead, explaining: "The league is continuing to monitor the situation." The club have been in a precarious position since the most recent plan to exit administration was vetoed on 14 October by the Football League. The club initially went into administration in February with debts of about £120m and received a nine-point penalty that made their relegation to the Championship almost inevitable. By that point Gaydamak, who was Portsmouth's owner between 2006 and 2009, had sold the club to Sulaiman Al Fahim. However he remains one of Portsmouth's creditors, with his apparent demand for an upfront payment drawing an angry response from the club. 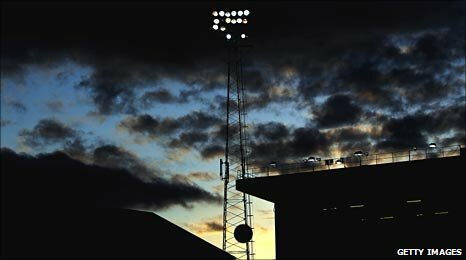 "Despite the new owners fulfilling all the requirements of the Football League and the creditors, and agreeing and signing up to the required terms of the purchase of the club, at the 11th hour the goalposts have been moved by Gaydamak," read a Pompey statement. "It is neither in the interests of the club nor its unsecured creditors for such a ransom payment to be made, particularly where the payment is being demanded by one of the authors of the club's current circumstances." Andronikou added: "We've reached a serious impasse in our negotiations with Sacha Gaydamak and until we can reach agreement with him there is a significant risk that the club will have to be liquidated. "We have agreed terms with every other party involved but there is now this new obstacle that must be cleared. We are trying to get Sacha Gaydamak to see sense. "I'm hopeful that within the next 24 hours we can get the parties around the table and we can renegotiate to everyone's satisfaction." As well as Barclays, Gaydamak and another former owner Balram Chainrai are the club's main secured creditors. Gaydamak has claimed he has secured debt of more than £2.2m, of which he has asked for an unspecified amount upfront. But lawyer Guy Thomas believes the latest development is likely to be a negotiating tactic. "This looks more like a shot across Gaydamak's bow," Thomas of SA Law told BBC Sport. "Andronikou might well be hoping that the kind of public pressure that emerged with Manchester United's spat with Wayne Rooney will bring a change of heart from Gaydamak. "Other Championship clubs will also be very concerned by the effect of this development on the league." The last Football League clubs to go out of business were Aldershot and Maidstone in 1992. After a poor start to the season, Portsmouth are unbeaten in their last five games and have picked up 13 out of 15 points. They are due to play away at Hull on Saturday and the game is expected to go ahead. "The atmosphere, I mean it's been very good lately because we're on the up on the field," said Colin Farmery, from the Portsmouth Supporters Trust. "It's been off the field that we've had all the problems and this is perhaps going to be the death knell of the club." And Neville Dalton, a season ticket holder and Pompey supporter for more than 40 years, added: "It seems a bit impetuous to be talking about liquidating the club. "But if Pompey's future really is in the hands of Sacha Gaydamak, after all the turmoil we suffered during his ownership, maybe this time that drama is justified."